A Turkish press freedom campaigner, who was once jailed for expressing solidarity with a pro-Kurdish newspaper, has said only 20 per cent of the country’s free critical press remains following a brutal media crackdown. Erol Onderoglu, who has worked with Reporters Without Borders (Reporters Sans Frontieres) for 20 years, spoke to Press Gazette ahead of Turkey’s snap presidential and parliamentary elections this coming Sunday. Turkey is currently locked in a state of emergency following a failed coup against President Recep Tayyip Erdogan in July 2016. Under this two-year regime, Erdogan has closed more than 150 news outlets and jailed dozens of journalists, earning Turkey its reputation as the world’s biggest jailer of journalists. It currently ranks 157th out of 180 countries worldwide for press freedom, according to RSF’s World Press Freedom Index. The media crackdown was seen as coming to a head in February this year when six journalists, including prominent reporters Ahmet Altan, Mehmet Altan and Nazli Ilicak, were each sentenced to life in prison. They were accused of having links to US-based Muslim cleric Fethullah Gulen whom Turkey blames for the failed coup attempt, although Gulen denies the accusation. Onderoglu himself spent ten days in jail in June 2016, a month before the coup attempt, on pre-trial detention after supporting daily Özgur Gündem, which he said was being submitted to a “tough judicial crackdown”. His case, which is ongoing, drew international attention, including a personal statement from UN general secretary Ban Ki-Moon. His next hearing is expected in October. Onderoglu said in recent months at least eight journalists were convicted for insulting the president under Article 299 – “just for taking a position against his policies” – and that journalists were appearing daily at Istanbul High Criminal Court on these charges. He said 42 journalists, columnists, cartoonists and reporters had been convicted based on this article of criminal code since Erdogan came to power in August 2014 in the Turkey’s first direct presidential election. Said Onderoglu: “I think even before the coup Turkey was already far from European Union reform spirit. At RSF we have denounced many times the lack of judiciary independence, the lack of respect of rule of law. Onderoglu, who began his career as a journalist in 1997 working for news website Bianet which he then edited for several years, told Press Gazette there was “only about 20 per cent of the free press left in Turkey”. “The Government has targeted control of mainstream media organs,” he said. “For some media groups it was just a question of financial interest with the Government… they want to maintain good relations with them. Last year President Erdogan was gifted sweeping new presidential powers after the Turkish people approved the move in a national referendum. But Onderoglu said “where people should normally have the right to access various political views they were deprived of these communication channels” during the referendum as a result of the media crackdown. He said controversial political issues were all “new forms of taboo which editorial houses don’t want to approach anymore” as a result of a campaign of intimidation by the Turkish Government. 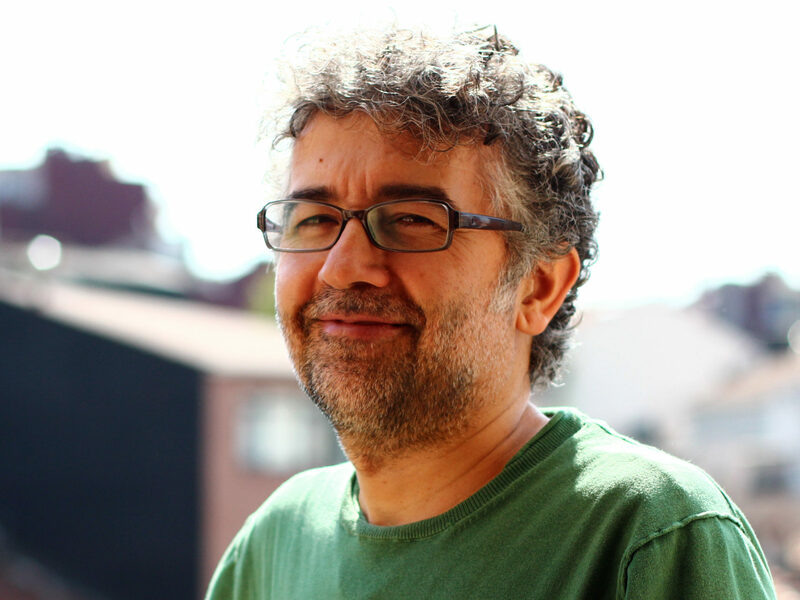 “I think media plurality in Turkey is in agony,” said Onderoglu. He said even pro-Government newspapers had a “very limited circulation” of about 100,000 copies a day. “Under normal circumstances it’s not enough to have a sustainable financial situation,” he said. “They are enjoying very strong advertisement revenues because they are close to the Government and close to public institutions, but for critical media in the same situation this is not the case. Turkey has a population of about 80m. There are 30 national daily newspapers, but the total circulation of these is no more than 3m – about a million fewer than before a state of emergency was declared. Among the news outlets that are critical of Erdogan’s regime this falls to 300,000 copies a day with dozens of critical news outlets having “disappeared”, Onderoglu said. During his time in jail, Onderoglu said the “physical circumstances” of the two prisons where he was held were “very bad”, but that he was treated better than most thanks to international coverage of his plight and his role at RSF. He said journalists jailed under Erdogan’s media crackdown were locked up without family visits “for months on end”. Despite the high profile of some of those detained, he said they could not find a lawyer to defend them in pre-detention. Some of them are still behind bars after two years while others have been sentenced to life in prison without pardons. Said Onderoglu: “It is a very crucial moment to monitor all these cases in Turkey and to measure how the judiciary itself is manipulated and targeted by these controversial measures under the state of emergency. “The most desperate thing [in jail] is you expect something from the judiciary, but you don’t have remedies. You want at least to explain yourself before the court after many months, many years of pre-trial detention, but these people couldn’t get this opportunity. “These are very political trials. My concern is that if Turkey is radically pushed towards isolation, many dozens more journalists will spend a big part of their life in Turkish prison. When Erdogan visited the UK for three days last month to meet with Prime Minister Theresa May, Erdogan said at a press conference that all the journalists locked in Turkish jails were “terrorist criminals”. 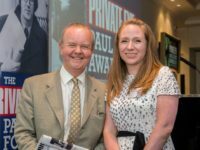 He added: “I’m sure that Britain is well-informed enough to know some concrete names of prominent journalists who have spent at least two years behind bars as pre-trial detention. He said the British Government should have a “frank and firm dialogue” with Turkey, pursuing dialogue and “underlining the importance of safeguarding human rights standards while all the time reminding it that respect of fundamental rights goes together with a sustainable society facilitating also trade and mutual exchange. Onderoglu said it was not certain that Erdogan would definitely win the upcoming election or whether, upon winning, he would pursue a path of national conciliation. He said: “I think, like in the past, Erdogan might feel himself under threat even when a very small newspaper covers quite critical issues. Let’s take the example of Cumhuriyet (Turkey’s oldest daily newspaper) covering weapon transfers towards jihadist group in Syria. “Any single newspaper covering politics in an independent way might disturb Erdogan in the future. 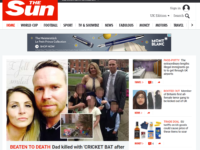 This piece was produced in association with RSF who supported the British Journalism Awards.